Manage and optimize daily operations of SAP application environment with the help of our SAP cloud, HANA application hosting service at low price. 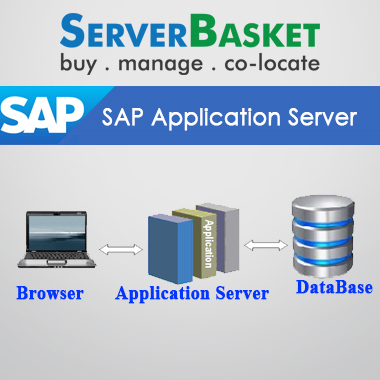 ServerBasket is one of the most popular SAP hosting providers in India, offering best SAP cloud, HANA hosting solutions with provided application and infrastructure management. Our SAP managed hosting services comes with built-in scalability, security and flexibility. You have the option to leverage your desired set of SLA at reduced costs. With our deployment services, you get greater interoperability, shorted application development cycles, ERP and CRM solutions, security management, 24/7 support services, extended monitoring, and 100% network uptime. 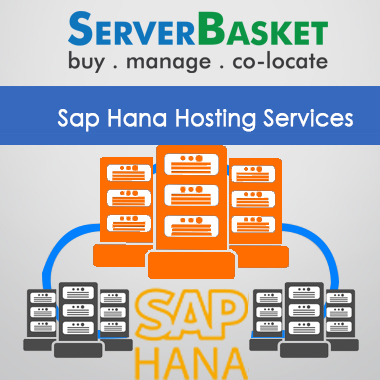 Why late choose sap hosting from India’s best sap hosting provider. 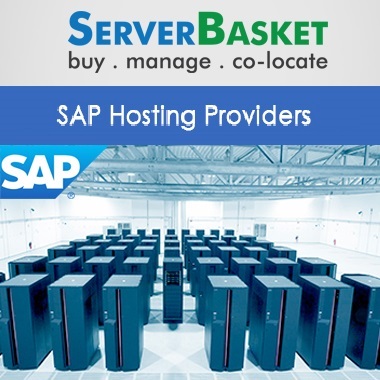 We provide customizable SAP server hosting packages to fit all types of business categories. Based on requirement, we configure the SAP server in such a way that they help to attain high reliability, complete access control, cloud bursting, ERP and CRM solutions. 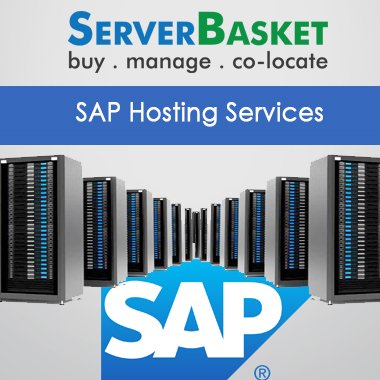 Prioritize and upgrade your sap hosting service packages as per need! We configure your SAP server on a virtualized cloud environment in such a way to reduce the cost of setup and management. Our new pay per use model reduces your upfront costs make our sap application hosting services cost effective. Right size the number of licenses as required and only pay for what we provide! 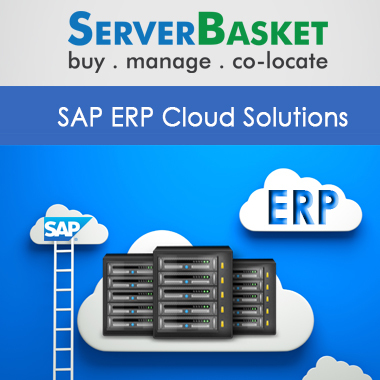 We provide highly managed, flexible and secured SAP software hosting services to the users. Our Application Cloud Services are SAP HANA ready to help you streamline migration to SAP HANA to gain competitive edge. And we also deliver ERP and CRM solutions to run your business smoothly which make us as the best managed SAP Hosting solutions provider in India. We are the certified SAP cloud hosting providers, we guarantee you to provide the best-in-class sap hosting services. Our infrastructure supports the latest SAP environments and is designed to meet the performance requirement with seamless interoperability. Our state-in-art datacenters ensures data integrity and security. 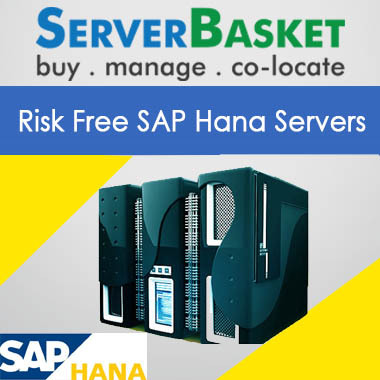 We provide end to end sap hosting solutions as well as managed sap hosting services. We are having certified SAP Team to give SAP related solutions; we have replaced traditional disaster recovery (DR) options with the latest ones to guarantee high availability. Our DR solution is designed to adapt to the customer’s requirement. We have implemented VMware SRM and Hana-Specific disaster recovery options for maximum availability. To protect your critical data, we have designed our SAP cloud hosting with the best security technologies to provide data integrity and security. We perform security compliance audits from time to time to ensure maximum protection to data from best sap provider in India. Our highly professional SAP expert team is available 24/7 round the clock to assist you with any type of queries and suggestions. The Certified SAP expert support is provided solutions via email, live chat, telephone and ticket request system.